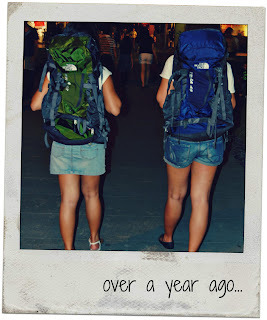 During our Southeast Asian jaunt last year, we developed a serious relationship with our backpacks. We had been searching for the perfect backpack for months before we found The One! 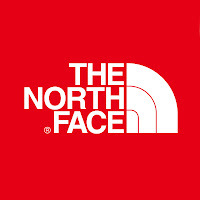 The North Face Terra. 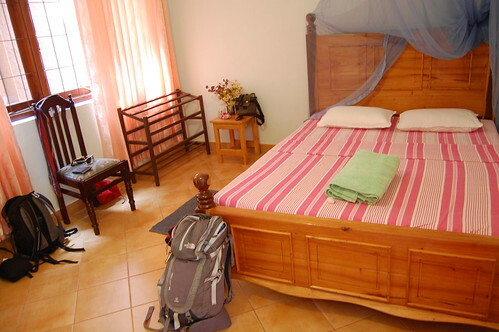 For nearly six months, we traveled with it, slept with it and called it "our home". But like any relationship, there were some changes and shortcomings. 1 When you're traveling long term, you don't need months' worth of stuff. Clothes can be easily worn, "recycled" and washed. All you really need is a week's worth of clothing. 2 The 45L backpack got too heavy after a while. 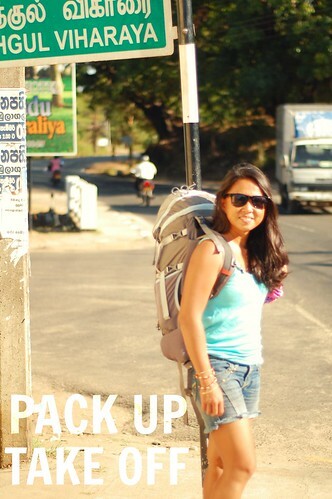 What I needed was just 30-35L and extreme packing skills that I've shared during my 7KG Packing Challenge. Plus traveling light gives your back some much needed rest. It also allows you more mobility especially when using public transportation. 3 Not exactly related but helpful when traveling light: If you go over the 7KG limit for hand-carried luggage, let them know your laptop/camera bag is in there. There will be more forgiving even if you go over 3KGs. overweight. Puppy dog eyes help too. So I have to tell you that I've made a switch. Most recently I've had to say goodbye to Rafe, as I named my TNF Terra in Ninja Turtle Green. I had been very fond of him. I had been very protective, making sure he was okay and well protected from rain and mud. He was good as new when I let him go. But it was time to take backpacking to a whole new level. 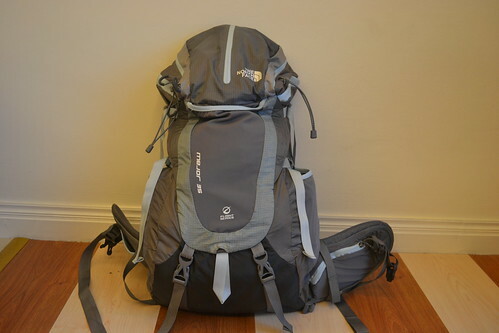 Compared to the Terra 45, the Mejor pack is only 35L which means it's smaller and lighter. This ultralight pack features an aluminum X-2™ suspension system, molded E-VAP™ back panel, contoured shoulder harness, and lumbar zone for maximum performance and comfort while traveling. Even though he's super light, he can certainly carry a heavy load of travel gear. Pack your Lagu beach mat, Bobble Bottle, VMV Armada sunscreen or a bag full of summer essentials, and you'll still have room! He's the perfect companion whether you're traveling for the weekend or going away for a month! 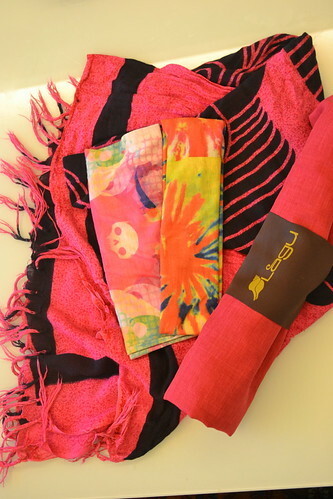 The Mejor is ideal for that fast-paced trip and designed specifically for the female form. Say goodbye to lumpy or uncomfortable metal-framed backpacks! This ultralight pack features super light suspension and a sleek profile. He will definitely complement your body shape! This is the first bag that made me feel safe. 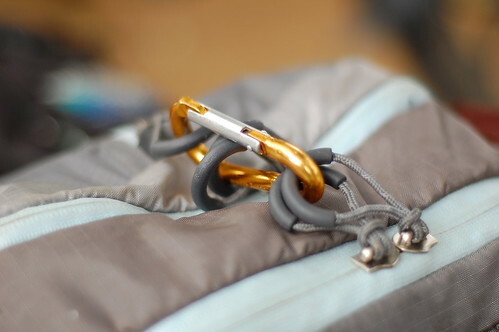 It features easy-grab zip pulls and load lifters with thumb loops that lines up so you can lock it. Plus it has so many pockets including stretch woven hipbelt stash pockets and Neoprene foam padded hipbelt accessory pocket with secure zip! They're perfect for keeping your passport, ID, cash and other travel documents! Just remember not to put them all in one place! I have to say the Mejor is one sleek, good looking backpack! I love carrying him around airports, mountain trails and even on the beach! Bottom load or side access- Because it needs to be secured from the top, there is no zip or access on the sides and bottom. It can be a hassle when you need to grab that sleeping bag or poncho under all your stuff. More space- I have to admit this backpack is for the ultra-minimalist. It can probably hold a week's worth of clothing max and you will need to reuse, recycle and wash your laundry afterwards. Forget about bringing that hairdryer or pair of heavy boots. And it won't be your best friend for cold areas where you'll need more layers and warmth. Other than those 2 things, I'm super happy with The North Face Mejor and I'm sure we'll be backpacking the world together. What's your favorite backpack? What are you looking for in your travel carry on? 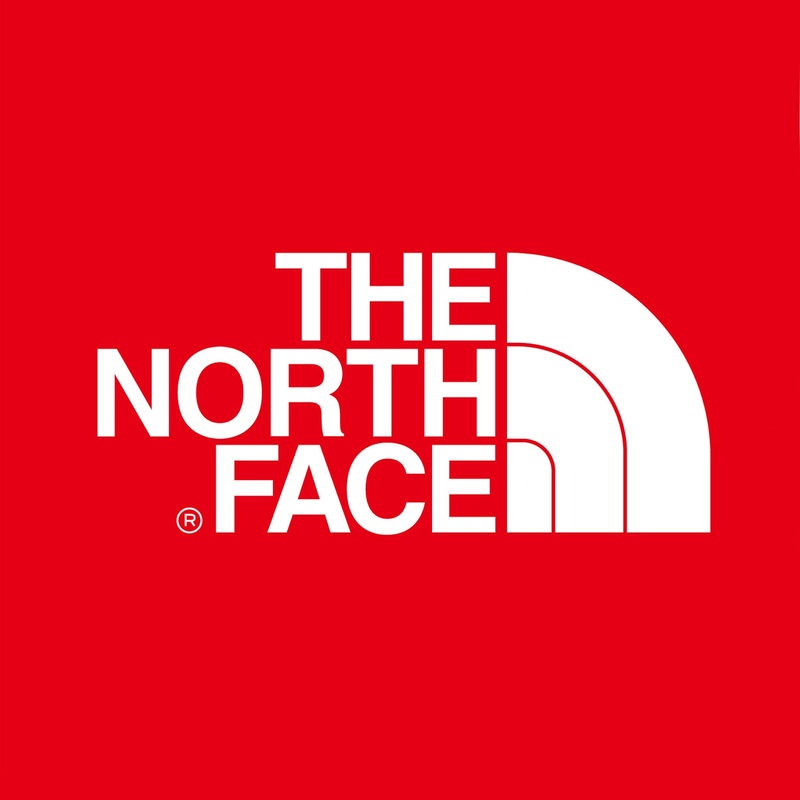 *The North Face Mejor is available at R.O.X. Philippines on Bonifacio High Street or The North Face stores all over the country. Get a FREE copy of the Sole Sister Guide to Planning an Epic Trip by subscribing to ournewsletter. You can also hang out with us online on Twitter, Facebook & Stumble Upon. I love Northface! I have 8 bags of Northface plus my apparels are all Northface. I will try that one. Wow! That's a lot of North Face bags Jun! You must love to travel like we do! Yes, do try the mejor. It's the perfect bag for light backpacking trips!